Zonolite Vermiculite Insulation containing deadly Asbestos fibers may be in the attics of millions of homes. See the images of vermiculite and read about this serious and widespread, yet largely unpublicized, public health crisis below. This material was mined in Libby Montana and could contain very high levels of Asbestos. It was used all across the United States of America. Don't be one of the thousands now suffering from Asbestos-related disease. Uncover the facts behind this deadly Mesothelioma risk and check to be sure your attic is free of his contaminated material. If you need more specific information about Asbestos attic insulation hazards, danger zones in Libby Montana, clean-up status, lawsuit information, or anything else - there is a special search box at page bottom. Is Asbestos Vermiculite Insulation In Your Attic? Recently, the EPA has raised concerns over Vermiculite insulation which has been installed in some homes in North America. 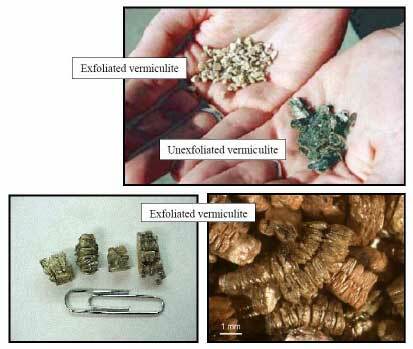 Vermiculite is a naturally occurring mineral that may contain Asbestos. Vermiculite is the short mineroligical name for hydrated laminar magnesium-aluminum-ironsilicate which is similar to mica in appearance. Vermiculite is light-weight, fire-resistant, odorless, absorbent, and expands into accordian shaped pieces when heated also known as being "Exfoliated". These pieces of exfoliated vermiculite insulation sometimes resembles worms, hence the prefix "vermi" which is latin for worm. Because of the unique properties of Vermiculite, it has been used for many different applications such as for packing material, swimming pool lining, potting soil additive, and as attic insulation. Vermiculite attic insulation (or other applications or products made from a particular supplier's Vermiculite) may be contaminated with asbestos fibers depending on where it was mined. One supplier of Vermiculite in Libby Montana (Zonolite brand name) is where most of the asbestos contaminated Vermiculite originated from prior to the mines closure in 1990. It has been estimated that during it's operation the Libby mine at Zonolite Mountain supplied 80% of the world's supply of Vermiculite. The U. S. Government estimates that Vermiculite has been used to insulate over 35 million homes! 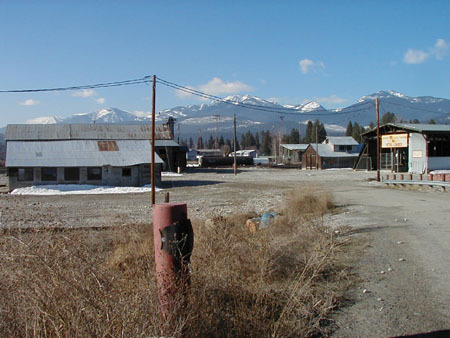 This is of particular concern since it was later found that Libby Montana has a natural deposit of asbestos known as tremolite-actinolite asbestiform mineral fibers which caused the mined Vermiculite to be contaminated with asbestos fibers. 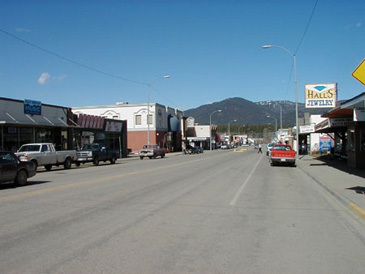 Vermiculite was first discovered in Libby Montana in 1881. Commercial mining for the Libby Vermiculite by the Zonolite Company began in the 1920s. 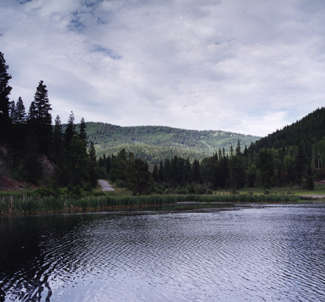 The Zonolite operation in Libby was purchased in 1963 by W. R. Grace and Company. 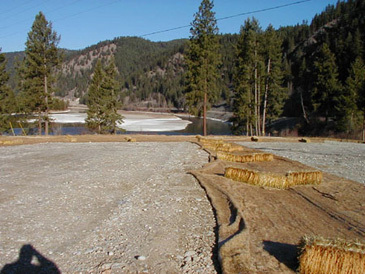 Since it's closure in 1990 the Libby property has been sold to Kootenai Development Co.
One salesman and eventual sales manager for W. R. Grace and Company in Michigan stated that, "It sold like mad," and "Millions of bags of that stuff from Libby was sold in Michigan as attic fill insulation," he said. "They couldn't get it fast enough. Most of the homes in Flint are filled with it." Based on the above quote, if you live in Flint Michigan (or anywhere else really) be sure to check out your attic to see if it is insulated with something resembling Vermiculite. Maybe Michael Moore needs to go back up there (and to Libby Montana) and do another documentary, a sequel to "Roger and Me". In Washington state lawyers filed a class action lawsuit against Grace in order to force them to warn homeowners of the dangers of having Asbestos contaminated Zonolite attic insulation in their homes. They stated that in Washington State alone there were over 53,500 homes containing Zonolite vermiculite insulation in their attics. In 2001 W.R. Grace & Co. filed for Chapter 11 bankruptcy protection, claiming that it couldn't handle the flood of Asbestos personal-injury lawsuits resulting from the Libby Montana Vermiculite Asbestos exposures. In 2001 there were six national class-action suits listing W. R. Grace and Company as the principal defendant in suits filed on behalf of as many as 2 million homeowners who have used Zonolite Vermiculite insulation in their attics. Grace also claimed it had received as many as 325,000 asbestos personal-injury claims which had already cost the company nearly $2 billion. In 2001 the EPA was investigating 55 other expansion sites throughout the country where W. R. Grace turned the Vermiculite into insulation, construction, and garden products. Of these additional sites, the EPA identified 16 other sites contaminated with Asbestos enough to require cleanup. In all, the Seattle Post-Intelligencer has found that there were as many as 250 facilities throughout the U.S. and Canada where millions of pounds of asbestos tainted Zonolite vermiculite ore was shipped to for selling or processing the Vermiculite. The EPA said that if Grace could not pick the bill up for clean up costs at the additional sites it had identified, the state or federal government (i.e. American taxpayer) would have to flip the bill. It wouldn't be the first time the public incurred the environmental, health, and safety damages wrought by corporations now would it?! Vermiculite insulation is a perfect example. W. R. Grace and Company was founded in 1854 by William Russell Grace. He left Ireland following the great potato famine and arrived in Peru where he began chartering ships for trading in Bat Guano and bird droppings. So it seems as though the company was full of you know what from the get go. In fact, following the company's attempt to pass the buck to American taxpayers by filing for protection under Chapter 11 Bankruptcy law, the EPA was employing forensic accountants from the Justice Department to try and discern whether the company had moved assets into other, newly formed corporations. Grace denied this of course. In 2001, Grace had sales of over $1.6 Billion. Whether or not Grace tried to hide assets, perhaps worse yet is the evidence uncovered by the Seattle Post-Intelligencer (SPI) story which may point to a cover up by the compay. It's reminescent of what has been uncovered about what cigarette companies knew or didn't know about the hazards for users of their products. Similar to the cigarette behemoths, Grace insisted that there was nothing hazardous in the vermiculite insulation. In fact, according to the SPI investigation on the bags of Zonolite were printed the following: "Contains no harmful chemicals" and "masks, gloves or special (safety) equipment" were not needed. Nevertheless, SPI said that thousands of pages of internal company correspondances, reports, and memos they had obtained showed the company was well aware of the presence of Asbestos in Zonolite vermiculite insulation as well as the health hazards involved. Discussions between Grace lawyers and sales and marketing managers throughout the 1970s shows that the company was considering whether or not to warn customers about the hazards from Asbestos in its products (such as Vermiculite insulation) and what impacts that would have. The Libby Montana Mine's Vermiculite facility was finally closed down but the Asbestos contamination is widespread and Vermiculite Insulation is in millions of home attics. On May 24, 1977 Grace's Executive Vice President E. S. Wood wrote, "We believe that a decision to affix asbestos warning labels to our products would result in substantial sales losses," adding "The risk of liability to customers is heightened by the decision not to label our products." 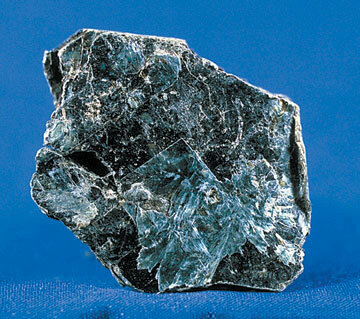 SPI reported that Grace realized that only through the use of "elaborate techniques not commonly recognized or employed in the scientific community for detection of asbestos" in their Zonolite-containing products could Tremolite Asbestos fibers in such products as their Vermiculite insulation be detected as was wrote in another Grace memo from 1977. Therefore, Grace concluded that Asbestos fibers in products like vermiculite insulation might go un-noticed. So they decided not to label their Zonolite products with warnings about possible Asbestos hazards they were already aware of. Interestingly, the memo stated that "For this reason, we are taking the position with all but authorized government authorities that our mixed products are 'non-asbestos' products." I cannot help but wonder what is meant by "authorized government authorities"!? Who are they referring to - lobbyists or Osha representatives? Are these the same government authorities that are the backbone of a GOVERNEMENT OF, BY, AND FOR THE CORPORATIONS? Or is this just another corporation foreshadowing how it intends to operate via loopholes within a pro-corporate system to continue selling a hazardous product with their bottom line taking prescidence far and away over the public's best health or safety interests? Hmmm.....? Perhaps it is no coincidence that despite the evidence of the Zonolite Asbestos hazards, in 2000 the Consumer Product Safety Commision (CPSC) had take no actions against Grace products. Grace's Executive Vice President E. S. Wood was especting the CPSC to take action to protect the public against its products. He predicted "a high risk that our products will be banned in several significant uses," and cited the Zonolite attic insulation and horticultural vermiculite. So why as of 2000 had the CPSC not taken action over Libby Montana Asbestos crisis? Hmmm....? More Grace documents suggest the company felt it could defend its Zonolite products by using the Occupational Safety and Health Administration levels set for workers to argue that even high exposures it's own testing found were within government limits. However, according to court papers their tests and additional tests performed in 2000 on homes containing Zonolite attic insulation were 150 times greater than OSHA's safe level for worker exposure. Likewise, OSHA standards are based on average exposures of workers to Asbestos often and over many years which may not be adequate based on studies by NIOSH, EPA, and independant medical investigators which showed that episodic and peak level exposures can result in asbestosis and lung cancer later on down the road. According to the February 7, 2005 Indictment of W. R. Grace and Company, in order to stall a NIOSH study of the Libby Vermiculite mine, a memo was circulated which recommended the company "Be slow, review things extensively and contribute to delay." More on the indictment below. Yet again, Grace's own documents from 1977 showed that the company was aware of reports that "even brief exposures, presumably at high levels, can later produce mesothelioma," which is a fast-killing cancer attributed only to asbestos exposure. 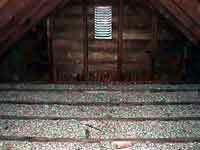 The confined spaces of an attic room or attic spaces which are typically poorly ventilated and which contain Vermiculite insulation would be particularly likely places for such high level brief exposures which could lead to delayed asbestos-related diseases like Mesothelioma, asbestosis, and lung cancer. In early August of 2000, despite mounting evidence of the hazards of Zonolite Vermiculite insulation and other products, W. R. Grace's Vice President of Corporate Affairs reiterated that the company believes it's Zonolite Vermiculite attic insulation and other vermiculite-based products present no health risks to consumers. The Libby Vermiculite mine was closed in 1990 but it took a lot of political pressure to force the EPA to finally add Libby to it's National Priorities List in October 2002. There's no doubt that the Seattle-PI deserves a lot of the credit for uncovering the Libby Asbestos crisis and initiating the public and political pressures. If they hadn't broke the story there's no telling how many more millions of people might be exposed to Asbestos via Vermiculite insulation and other Vermiculite products. 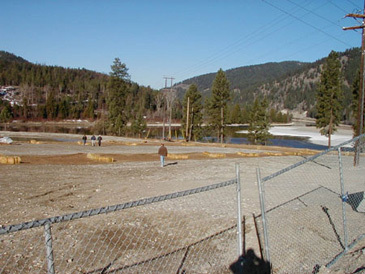 Unbelievably, when EPA Superfund workers tried to gain access to the Libby MT Vermiculite Mine area to begin Asbestos cleanup, W. R. Grace turned them away claiming they had re-acquired all the stock of Kootenai Development Co. who had purchased the mine and surrounding land from Grace in 1994. Can you say "OBSTRUCTION AND CONSPIRACY!" Since 2002 the EPA has inspected 3,500 properties and taken over 12,000 soil samples. The Libby processing plants, other contaminated public areas, and 390 residential and commercial properties have been cleaned up. It is estimated another 1,200 to 1,400 properties may still need clean up. Various Civil actions and lawsuits have been brought against W. R. Grace by miners and their families. From 1961 to 1999 192 deaths from asbestosis, lung cancer, or mesothelioma were associated with exposure to Tremolite Asbestos from Libby. The EPA has spent about $120 million in Superfund money for the cleanup of Libby Montana and it has been stated that Libby is the worst case of community-wide exposure to a toxic substance in U.S. history. Many public and private structures are visibly contaminated on either the inside or outside or both with Vermiculite insulation in or around Libby MT. Since asbestos exposure is strongly associated with lung cancer, asbestosis, and mesothelioma Vermiculite insulation could pose a public health risk if disturbed and airborne asbestos fibers are inhaled. The EPA recommends that if you have vermiculite in your attic that you should assume it is contaminated with asbestos and DO NOT DISTURB THE VERMICULITE ATTIC INSULATION! Common dust masks will not protect you from asbestos fibers. Studies have shown that even a simple attic renovation such as installing a light fixture or ceiling fan within an attic floor containing Zonolite Vermiculite insulation can produce dangerous levels of airborne Asbestos fibers. Even casually working with Zonolite insulation can produce levels 150 times the levels considered safe for workers by OSHA standards. Worse yet is the eventuallity that attic insulation has to be replaced and anyone attempting to remodel an attic containing Zonolite Vermiculite insulation in the attic could be exposed to dangerous levels of permanantly damaging asbestos fibers. Dr. Henry Anderson is the chief medical officer and epidemiologist for the state of Wisconsin and has been studying the health effects of asbestos exposure for over 25 years. He agrees that Zonolite Vermiculite insulation represents a serious public health danger for which the public should be warned. He stated that it is essential for homeowners with Zonolite and contractors who may perform attic remodeling or renovations where Zonolite is present should be warned about the presence of Asbestos in the material. On February, 08 2005 a Grand Jury handed down an indictment to W.R. Grace and Company, claiming that it lied about the dangers of Asbestos Exposure in its Zonolite products to avoid financial accounting in Libby MT. 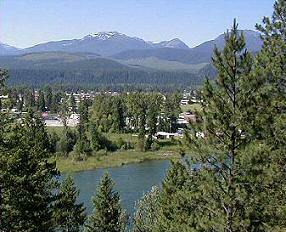 The new indictment claims there are approximately 1,200 Libby Montana residents (most of whom never worked at the Libby Montana Vermiculite mine) who have developed asbestos-related diseases such as Mesothelioma, Lung Cancer, Asbestosis, and other asbestos-related abnormalities. The 10 count indictment names seven W. R. Grace executives and includes conspiracy charges, four counts of obstruction of justice, three counts of violating the Clean Air Act, public endangerment charges, and two counts of wire-fraud while trying to avoid liability for Asbestos contaminated company properties. Several daming internal studies commisioned by W. R. Grace are referenced in the Indictment. It accusses that as far back as the 1970s, company executives learned from these internal studies of the dangers of Tremolite Asbestos in their products such as Vermiculite insulation. They then conspired to hide the results from the government, customers, employees, and the public. In one of these studies conducted in 1982 by Harvard University's School of Public Health, the mortality rates of mine workers at the Libby Montana Vermiculite Mine were analyzed for a hypothetical 30 year span. One company official Henry Eschenbach responded to the results of the study by stating in a memo: "Our major problem is death from respiratory cancer. This is no surprise." But guess what? They categorically deny all the charges and blasted the government for publicizing the details of the indictment before supplying a copy to W. R. Grace. The company stated, "However, based on news reports of the government's charges, Grace categorically denies any criminal wrongdoing," the statements says. "We are surprised by the government's methods and disappointed by its determination to bring these allegations. And though court rules prohibit us from commenting on the merits of the government's charges, we look forward to setting the record straight in a court of law. "....surprise, surprise. Oh, and by the way, the W. R. Grace company now has annual sales of about $2 Billion and has booked about $140 Million in after-tax profits from its operations in Libby Montana! No wonder they fought tooth and nail to keep selling Vermiculite insulation and other Asbestos contaminated products to customers. It was quite profitable. Thanks to the Libby MT mine works, Lincoln county is now second in the nation for Asbestos related disease rates. OUTRAGEOUS! 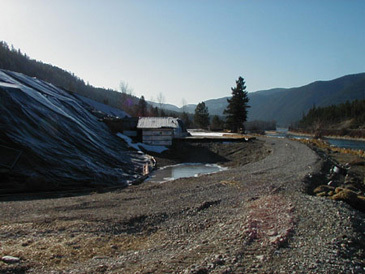 contaminated soil has been covered by a large plastic cover for dust control. For more tips on what to do if you suspect you have Vermiculite attic insulation, visit EPA's Current Best Practices for Vermiculite Attic Insulation Page. The EPA also has a page dealing with Asbestos in Vermiculite Insulation. We also have a page on Asbestos safety tips for Homeowners. 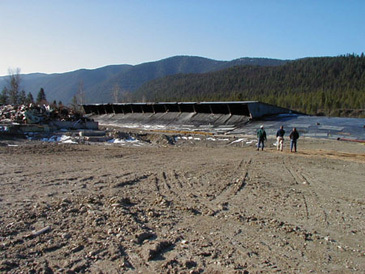 For an extensive collection of information about the Libby MT Vermiculite and Asbestos situation, Seatlepi.com has many archived articles related to Tremolite Asbestos Pollution in Libby, Montana. Those articles will raise your eyebrows because there is a lot of information pointing to what a politically corrupt house of cards the whole system of government environmental, health, and safety legislation is. I wonder how many more thousands of honest hard working people might be exposed to deadly Asbestos fibers from Vermiculite insulation or other products that Grace knew were a risk to workers, customers, and the public?